There’s never been a better time to launch an e-commerce store. Thanks in large part to the abundance of varied and invaluable tools that are readily available; it’s easier than ever to start a web-based business. However, just because it’s simple enough to get stated, doesn’t mean that it’s easy to find success. As is the case for many things in life –it’s something that’s easy to learn, but difficult to master! After all, e-commerce stores have something like an 80% fail rate –with some researchers even claiming it’s as high as 98%. Still, when it comes to e-commerce, there’s a lot that you can do to drastically increase your chances of success. Whether you’re new to the world of e-commerce, or even if you’re just looking for tips to improve your business operations, taking advantage of helpful tools that are available today can help you to get the most out of your business. 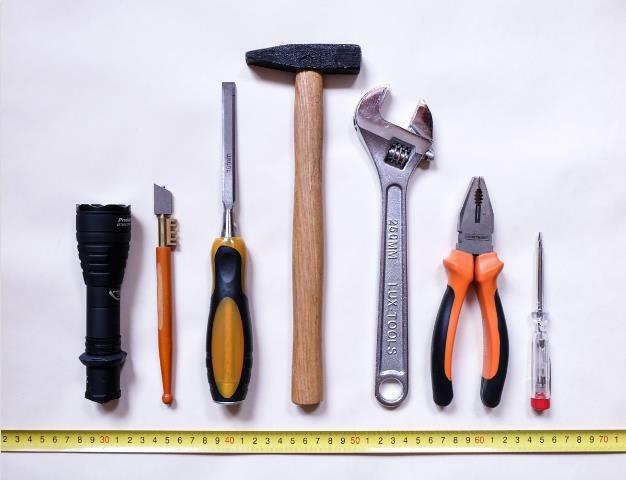 After all, you wouldn’t launch a carpentry business without first investing in a chisel, tape measure, and hammer (at least, I hope you wouldn’t!) yet so many e-commerce stores just aren’t taking advantage of the myriad tools –plugins, apps, and platforms –that are available today. Running an e-commerce store can be tremendously rewarding, but it’s a far more feasible –and profitable venture when you have the right tools. With this in mind, let’s take a look at a few of the best options now. 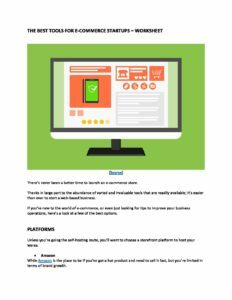 Unless you’re going the self-hosting route, you’ll want to choose a storefront platform to host your wares. From Amazon to Shopify, and everything in between, there are plenty of options for you to choose from. A good website platform will not only give you a place to list your products and get them in front of a wide audience, they’ll also give you the tools that you need to handle operations. In many cases, these tools aren’t proprietary, but are available in the form of plugins, which are extremely easy to use. Important tools that you’ll want to consider include everything from market research, to product sourcing, to SEO, marketing, analytics, and even bookkeeping. Now, just briefly, let’s run through some of the most popular platform options for e-commerce stores now. While Amazon is the place to be if you’ve got a hot product and need to sell it fast, you’ll want to tread carefully when operating an Amazon shop. 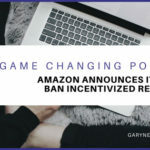 For one thing, Amazon isn’t the best place to be if you’re looking to grow your brand; as branding is tremendously difficult, if not impossible, on Amazon. Additionally, Amazon ranks products by price, meaning that the winner is the seller who’s able to source, and sell it for the lowest price. So if you’ve got some generic, dime-a-dozen products, you’ll generally want to avoid Amazon unless you’re certain you can source and sell them a lot cheaper than the competition. Of course, there are some benefits of using Amazon. For one thing, it’s easy to get started with Amazon. Just set up your account and you’ll be ready to go. 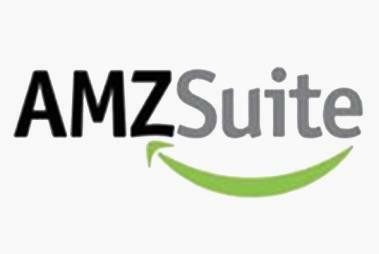 You’ll also benefit from immediate access to Amazon’s wide-reaching and extensive customer base. Finally, Amazon makes it simple. With Fulfillment by Amazon (FBA), you can even opt into drop-shipping, to further automate the work of selling. At the end of the day, though, you’re sacrificing long-term growth in exchange for short-term sales. Before you set up shop, carefully consider your goals, whether you’re after brand growth and staying power, or just making some quick sales. In contrast to Amazon, WordPress allows for self-hosting, and a great choice if you’re looking for more autonomy with your storefront and business operations. While setting up a WordPress shop requires a much bigger time investment than getting started with Amazon, the good news is that you’ll be free to sell your products your own way, and will have the ability to grow your own brand. The only downside to WordPress is the learning curve. Coding isn’t necessary, but a bit of technical known-how will come in handy when setting your website up. Although it requires a bit more effort to configure, the main advantage of this is that it offers more flexibility. It’s arguably a more powerful tool; and one that you’ll be able to customize to your exact specifications. And with WooCommerce, the popular WordPress e-commerce plugin, it’s relatively easy to set up shop and start selling. This plugin features an extensive range of add-ons, themes, and extensions; allowing you to create your own, fully functioning, storefront. There’s a reason Shopify has seen an explosion in popularity in recent years. 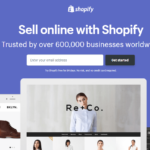 Arguably one of the best plug-and-play platforms for e-commerce stores today, Shopify is the perfect compromise between self-hosting and all-in hosting platforms like Amazon. While Amazon contains strict rules that you must comply with; and even considers your customers to be theirs, a Shopify storefront is far more self-directed. This means that while Shopify hosts your website, your shop is still your own. You can run your store your way, and use your own branding. Shopify has a ton of excellent plugins available –many of which are free. Their themes look professional as well. With Shopify, you don’t have to be a tech-savvy web developer to make it work; Shopify stores are straightforward to use, so you don’t need any knowledge of coding or design. Shopify an ideal option if you’d like to get started today, with minimal hassle. One downside, however, is the cost, as with most hosting platforms, it costs a bit more to use Shopify. So be sure to check out their current pricing structure. Then there’s the issue of customization –whereas WordPress can be customized to create the exact store that you want it, Shopify’s a bit more limited. Still, most of what they offer is enough to keep most e-commerce stores happy. With ClickFunnels, you start by choosing your preferred funnel. Choose from options like “Squeeze Funnel,” a simple two-page funnel, or “Lead Magnet Funnel,” which allows you to harvest email addresses. There are plenty of tools that you can easily incorporate too; including a payment processer, split testing tools, and a countdown timer that you can insert into pages to create a sense of urgency. Then you can create your page designs. Choose from templates, or create your own. It’s fast and easy, and there’s no need to know programming. Once you have your store up and running, you’ll then need a way to manage it –and keep the sales –and profit, rolling in. Here’s a look at a few business tools that can help. As an entrepreneur, accounting is most likely at the bottom of your list when it comes to priorities, but considering that revenue will make or break a small business’ success, perhaps it should be closer to the top. Programs such as Quickbooks, though, make it easy to manage your income, profit, expenses, payroll, and more. No more excuses for not tracking your finances! The only downside is the cost, with the premier version costing $300. For a cheaper alternative, consider FreshBooks. For budgeting? My money’s on Mint. Social media marketing is an important part of doing business these days, but it can also be tremendously time-consuming. But with social media management platform, Buffer, you have the ability to manage multiple accounts from one place. You can also schedule your posts to go out at optimal times, and then manage and track their performance. If you’d like to drive relevant traffic to your e-commerce store, you’ll want to seriously consider investing in an ad program; like Facebook Ads. There’s a lot that you can do with Facebook’s ads, and investing in an ad strategy on Facebook will allow you to create extremely targeted and effective campaigns, helping you to get the most from your ad dollars. The best thing about Facebook Ads, is their Custom Audience feature allows you to create an audience of previous purchasers, current customers, people who have visited a specific page on your website, and more! Taking things a step further, Facebook also gives you the ability to create Lookalike Audiences. With Lookalike Audiences, you can upload a list of email addresses, and Facebook will find prospective customers that match your existing audience, using interests and demographic data, helping you to further expand your leads and increase your page likes. And using Facebook’s free tool Audience Insights, you can get extremely targeted with your demographics, interests, online purchase behavior, and more; allowing you to target them even more effectively –increasing your ad’s effectiveness. Email marketing is an important part of doing business today; with most people preferring to receive marketing offers via email. MailChimp is a great email marketing platform, and one of the most popular business email solutions today. MailChimp makes it easy to build and manage an email list; giving you access to easy-to-use templates, mailing lists, forms, analytics –all in one place. It’s always a good idea to diversify, and when it comes to your email provider, this is no exception. 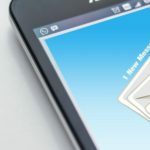 Consider getting ahold of at least two email providers, in case you run into trouble with one –or if they suspend your account without warning, you won’t be left high and dry. My recommendations are Sendy and GetResponse. Don’t believe the hype, SEO is still tremendously important. SEMrush is an all-in-one marketing and SEO tool kit, giving you the tools that you need to enhance your website, content, and product listings. This includes keyword research tools, backlink help, an SEO audit, and ideas for gaining more organic traffic. SEMrush also gives you inside information into your competitors’ strategies, advertising, and link building-efforts –allowing you to see what you are up against and how to run a promising marketing campaign for yourself. If you’re looking to manufacture your own products, finding the right factory to produce them can be an arduous task. Attempting to navigate Alibaba can be equally daunting. But Sourcify can help you to make your product ideas a reality. Their process is straightforward and simple. Submit your product idea, receive bids from factories, request a sample, request changes, approve the sample, and production begins! You then receive your products. It doesn’t get much easier than that! If you’re looking for a good analytics program, you can’t really go wrong with Google Analytics. Packed full of tools and data that you can use to track and improve conversions, optimize your site, and track visitor behavior, Google Analytics is a vital tool for any business. It also makes it easy to run A/B tests, allowing you to track the success of your campaigns –or changes that you make to your website – including product listings. It’s also free! Consider using this tool in conjunction with another high-end analytics program, like KissMetrics, for a comprehensive analytics solution. Get our The Best Tools for E-Commerce Startups - Worksheet delivered right to your inbox. JungleScout is a tremendously popular tool for Amazon, and it’s easy to see why. With this tool, you can gauge the profitability of potential products; allowing you to find items that will perform especially well. This tool also shows you the products that you’ll want to steer clear of; ones that are unprofitable or don’t have a very wide audience. Refund Rescuer – When a customer submits a refund request, Refund Rescuer will automate the process; making sure the person has returned the product and Amazon has credited you for it. Inventory Salvager –Inventory Salvager is an automated process that helps Fulfillment by Amazon (FBA) sellers to get reimbursed for lost and damaged inventory. Feedback Sentry – This tool monitors your customer reviews, and if it sees a neutral or negative review, it will automatically file a ticket to contest the review to have it removed or reversed. Helium 10 is a collection of valuable products that are designed to help you optimize your listings. Identify high-ranking keywords, discover new trends, spy on your competition, and more. Datafeed Automation is a handy tool that allows you to easily manage all of your online sales, in one handy place. Optimize inventory, orders, sales –and more. This software will help you to sell more –and faster. With Datafeed Automation, you can easily add new listings with headlines, photos, and product descriptions. Ship new orders, track your orders, and get analytics for unique visitors. Run marketing campaigns, run competitive analysis, and more. Manage everything from one dashboard, and make data-based decisions. While Datafeed Automation is designed for Amazon, it also integrates with other platforms including Shopify, eBay, Volusion, and more. Splitly is another tool for optimizing your listings. This program allows you to split test different aspects of your listings including pricing, images, titles, features, and descriptions to see which variations perform best. You can also monitor where you rank for important keywords. This tool will help you to find the ideal configuration for your products, allowing you to optimize your listings to increase sales. More than 90% of Amazon buyers fail to leave feedback. FeedbackFive automatically prompts customers for feedback and also reviews negative and neutral responses. Since Amazon sellers with the most positive feedback rank higher, having more positive feedback can be tremendously valuable. 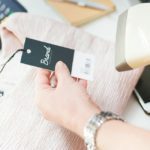 One of the things that makes Shopify such a great e-commerce platform is the myriad valuable plugins that are available for it. Here’s a look at some of the best options now. Recover Cart Pusher allows you to salvage abandoned carts. Using targeted push notifications, shoppers who abandon their baskets will receive notifications reminding them that they have items left in their baskets. Instagram Shop allows you to make your Instagram feed shop-able. A great way to reach prospects that may be browsing and looking for inspiration. Facebook Store is a simple way to sell direct from your Facebook Page. Since your customers can easily share their favorite products with friends, you’ll be able to reach even more potential customers. Oberlo is the ideal solution if you’d like to dropship, and are looking to automate much of the work. With this app you can import products into your store, and they’ll drop ship orders for you. Kit is a great marketing assistant. This plugin will recommend marketing approaches that are likely to translate into direct sales, and makes short work of creating discount codes –and promoting them, launching retargeting campaigns, sending out thank-you emails, and more. Socialphotos continually scans Instagram for content that’s related to your store and then adds it to your product pages. Show your customers images of your products being used in the real world. Finally, Mobile Converter will make your shop accessible for mobile customers; a simple way to increase your mobile conversion rates. Be sure to check out Top Shopify Plugins for more helpful tools to use with your Shopify account. Like Shopify, there’s a wealth of valuable plugins available for WordPress as well. Here’s a look at a few of the best ones now. As mentioned briefly above, WooCommerce is one of the best e-commerce plugins for WordPress –and it’s certainly the most popular one. There are plenty of themes, plugins, and options to help you get your shop up and running –and surprisingly, it’s free! And since it’s got a pretty extensive developer community behind it, you know that it’s going in the right places. WooCommerce also makes short work of operational work, including inventory management, payments, and shipping –helping to further streamline your business. OptinMonster is a popular tool for or lead generation, allowing you to quickly create pop-ups or opt-in forms to collect email addresses. With this plugin, it’s easy to convert abandoning visitors into email subscribers. Google Analytics Dashboard for WordPress allows you to keep tabs on your website’s activity from your WordPress dashboard. With plenty of different metrics to track, you’ll be able to keep up with everything that’s happening behind the scenes with your website. Yoast SEO is another handy WordPress plugin. This tool makes short work of SEO; and will walk you through the process of optimizing your pages for search engines. Check out Top WordPress Plugins to see more helpful tools for WordPress stores. 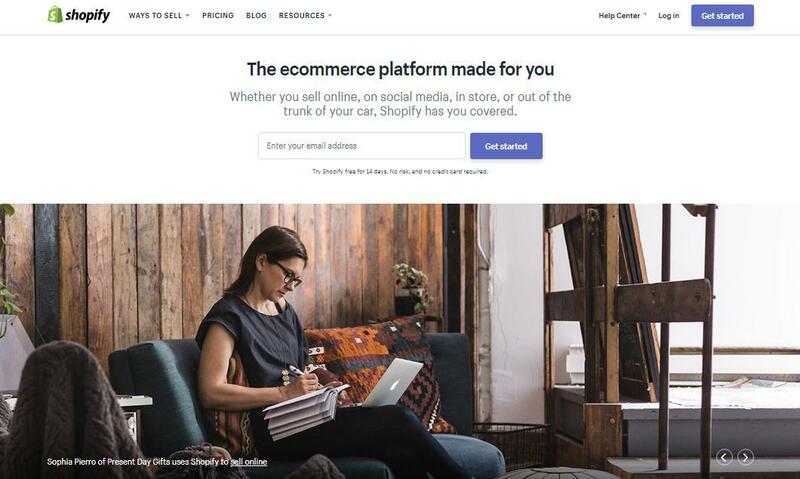 Whether you set up shop on WordPress, Shopify, Amazon, or somewhere else –you can get the most out of your e-commerce store by taking advantage of some of the amazing tools that are available today. As a general rule, if you find yourself thinking, “I wish there were a way to simplify this task,” chances are there is! With a whole host of apps, tools, and plugins to choose from, you can automate many once-time-consuming tasks, and simplify your e-commerce operations. Of course, leveraging these tools can not only help you to save time, but also increase your sales and profits –making it easy for you to set yourself up for success. 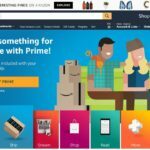 It really is a great time to own an e-commerce store! E-commerce store owners: which plugins or tools do you find invaluable?